In election time in Iraqi Kurdistan streets get coloured by flags and posters; parties are competing for the best locations and adding another layer of flags above those the others already put up. The result is festive, apart from when the wind gets hold of the flags or the posters and they end up dragging across the road, hampering the traffic. 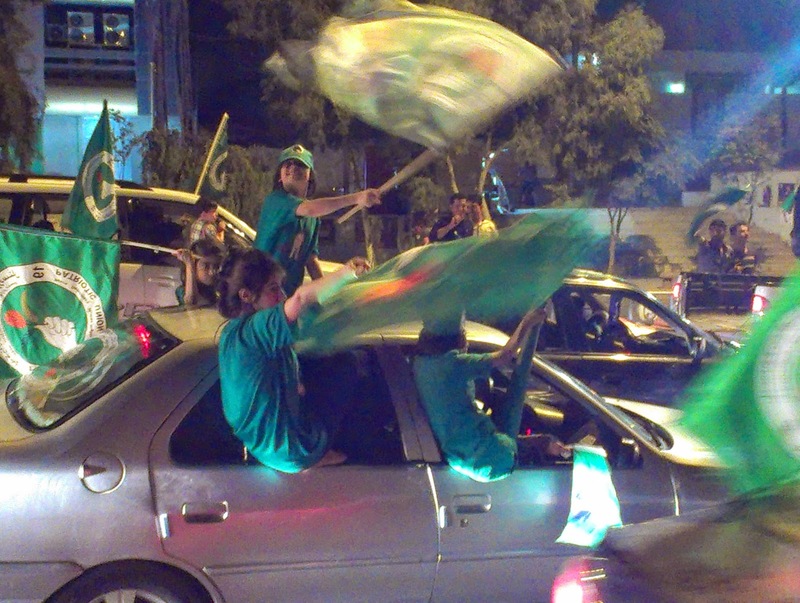 Streets have turned yellow, blue and green, the colours of the major parties. Posters show us the candidates; are they men, women, old, young, attractive, vain - although it gives us little information about their ideas and ideals. Perhaps their body language can tell us whether we can trust them and whether they are open for new ideas or criticism. This is so different from where I come from. Parties have a program, their candidates try to attract votes with slogans. We vote for the content, for the ideas and the agenda of the party. When I drive around in Kurdistan in election time, I always wonder what the use is of the flags and posters. Who are the parties trying to convince? Because Kurds vote mainly within their clan, religion or party affiliation. Are you part of a PUK family, you vote PUK. Do you see Islam as the leading force in your life, you vote for an Islamic party. Did you get a job through the party, you show your gratitude. So who is going to change sides because of flags or posters? Why then spend all this money? Sure, it’s nice to have the town look cheerful, but in the money could be used so much better. For instance by organising inter-party discussions to find out what issues are the most important for the party members, and putting the outcome in a party program. And making sure everybody knows what is in this program, through the media and in special gatherings. Now that content does not play any role, people will talk of corruption and nepotism. Because that is what they see. They hear of people offering hundreds of dollars for election cards to be handed over to use for party votes. Of thousands of double votes, of the dead that still went to vote. In my world, there are rules and regulations, but more importantly: a communal will to have fair elections. If experts fear the voting computer could be hampered with, we happily go back to paper and pencil. Because if elections are not fair, how can civilians ever respect a government that is based on them? After over twenty years of autonomy and almost ten of federative statehood, Kurdish people deserve better too. Give them the chance to vote on content, not out of habit or even fear. People deserve fair elections.